It has by any stretch of the imagination been an unpredictable and a very strange first half to the season. From an extremely cold spring, where the grass did not even start to grow until the end of April, then straight into a dry and hot summer with everything bolting. The hatches were very good throughout May despite the constant east wind that persisted from April for almost six weeks. Large Dark, Grannom, Olive Upright were all there in numbers along with a few Danica’s. 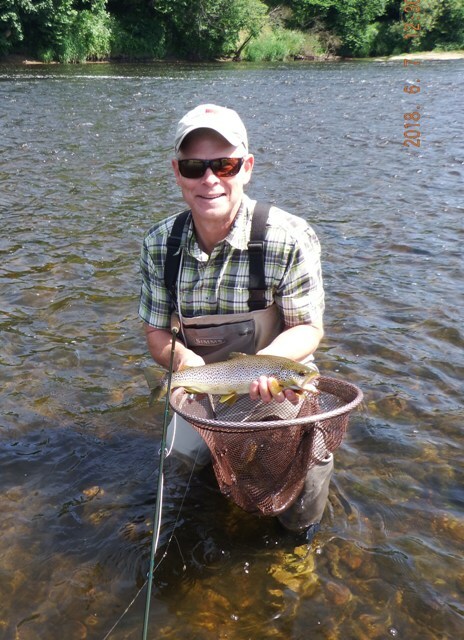 Rob from Sarasota with a fine trout. 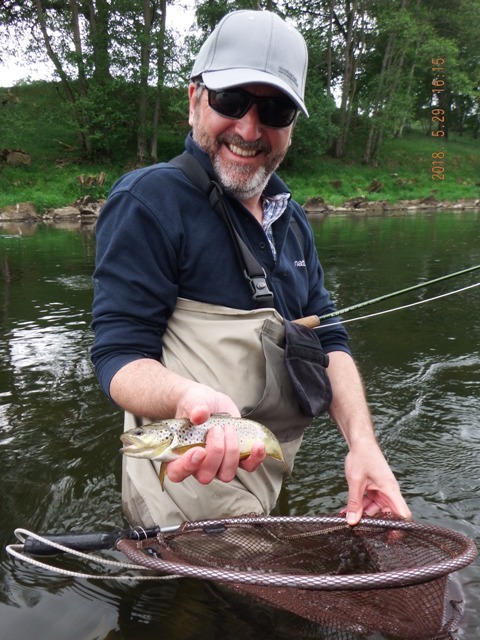 The trout fishing was sporadic, but when they were on, there were some good specimens caught to both wet and dry fly. Also some fine grayling turning up. When June arrived, the weather was still bright and the high pressure system over the U.K was still there making daytime hatches almost non-existent throughout the daylight period and cool evenings. Little or no rain apart from one thunderstorm kept the levels low at summer height. 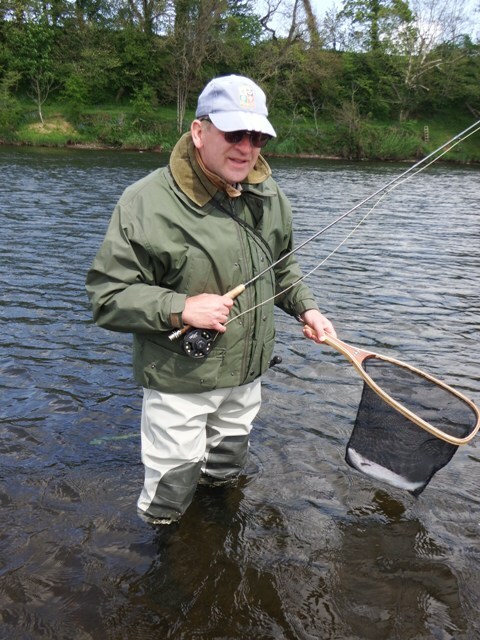 There were salmon entering the Eden, even in the very low flows and bright days, fish were seen going over shallow gravel to get upstream with no intention of stopping or taking a fly for that matter. Anglers that had success were fishing very early and late in the day, there were some very large fish about early April and into May. There have been many fish lost, a story that is common this year so far, the fish are just not committing (east wind, high pressure maybe, who knows). 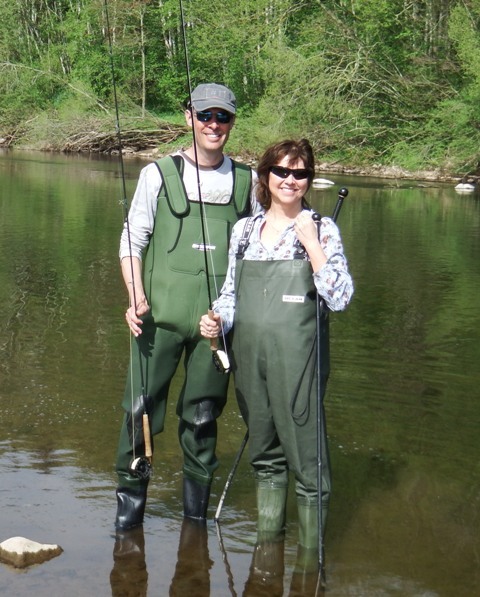 It has been an enjoyable spring, we have had a lot of couples join us and it was for some their first time fly fishing. So far this season we have had a lot of fun, I have met some lovely people, caught a few fish, enjoyed the great weather and good company. 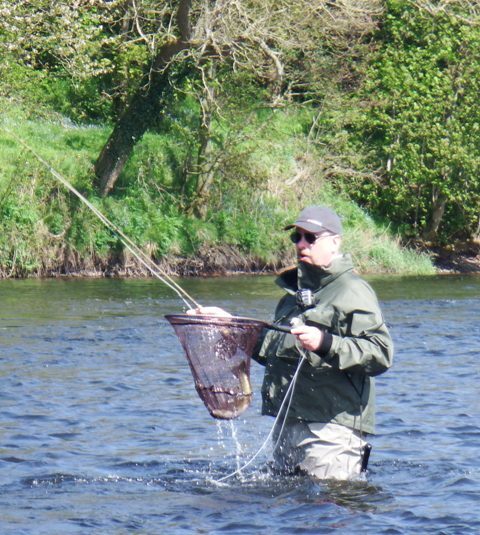 This year it has been all about making positives out of negatives, anglers that have come for salmon are having some really good trout fishing with the five weight outfit. 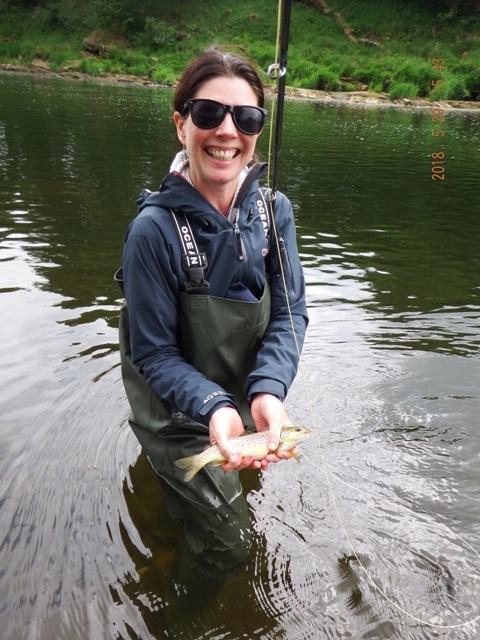 Finally, we have got some serious Spey casting done without being distracted by all those taking salmon! 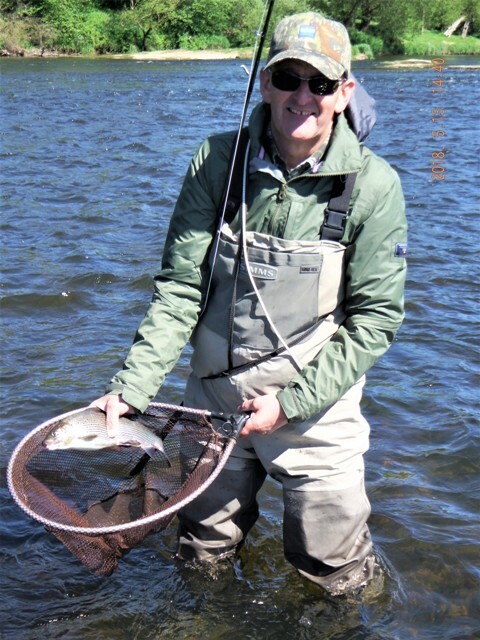 GLYN FREEMAN is a full time, fully qualified fly casting instructor, guide and active member of A.A.P.G.A.I (Association of Advanced Professional Game Angling Instructors). 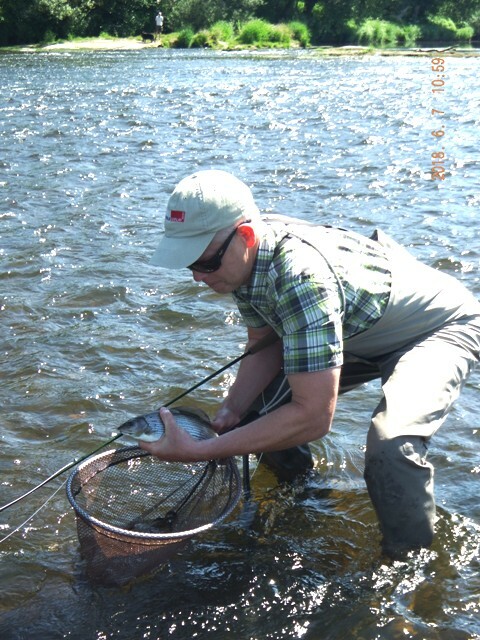 Qualifications include the AAPGAI Masters in Salmon and Trout disciplines and Advanced Fly Dressing, FFF Masters. Full liability and indemnity insurance, CRB (criminal records bureau) checked, child protection, L20 assessing, licensed coach, first aid and a few more. 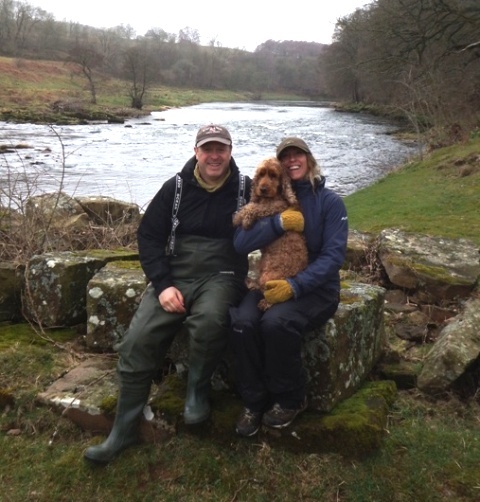 Glyn has fished in Cumbria and the Borders for over thirty years. 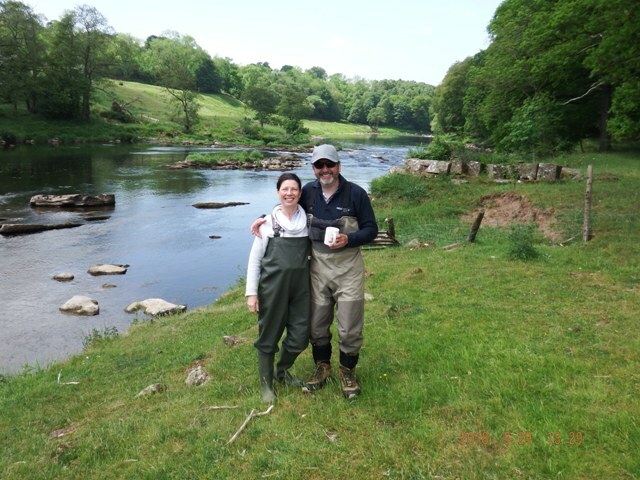 Based on the River Eden where he is a keeper on the lower river and appointed fly casting instructor and guide for John Norris of Penrith and working member of staff for Borderlines.